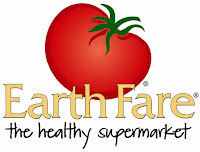 If you have an Earth Fare Market close to where you live – listen up! Head on over here and get a coupon for FREE Chicken Wings! The coupon is actually 1 lb free when you purchase another – just in time for Super Bowl Sunday!! You can find out if there is a location near you right here.